Our nation's voting systems were hacked by foreigners recently according to the FBI. I'm really concerned that the two reported hacks that took place in Arizona and Illinois are only the tip of the iceberg. A "flash" alert from the FBI's Cyber Division reveals heightened concerns among U.S. intelligence officials about the possibility of cyberintrusions, potentially by Russian state-sponsored hackers aimed at disrupting the November elections. I never trusted computers in our polling places. The potential for hacking began in 1996 when The Reform Party used I-Voting (Internet Voting) for the first governmental election in the U.S.
By 2002, the Help America Vote Act mandated that one handicapped accessible voting system be provided per polling place, which most jurisdictions have chosen to satisfy with the use of the DRE voting machines. By 2004 over a quarter of American voters were using computer voting machines. The rest is history. 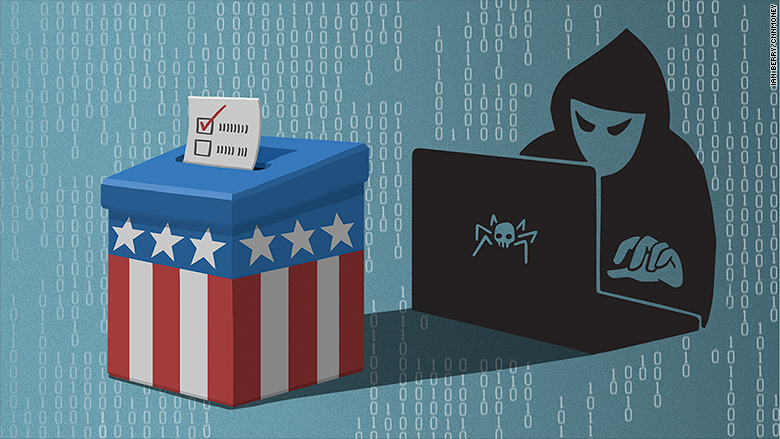 Today the majority of voting machines don't have hard copy data backup, or any other safeguard against hacking. There are some voting machines that have a Voter-verified paper audit trail, but they only count for a small part of the total. What's really scary is that there's not enough time to implement additional safeguards to our voting system for this election. The Department of Homeland Security needs to designate state election systems as part of the nation's "critical infrastructure" to forestall future meddling in our elections. Meanwhile all we can do is hope that we have enough computer experts to fight of more intrusions in November. Like I said...it's scary.